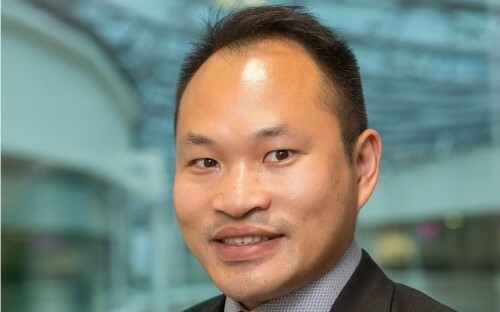 Jason Kow, previously an officer in the Singapore Navy, sought an MBA to help him try something new and transition from a military career into business. With transferable leadership, operations and execution experiences, he saw the MBA as a crash course in the commercial world. When looking at the growing influence of China, the China Europe International Business School (CEIBS) became an easy choice. For Jason, the CEIBS MBA represents a chance to get experience in a region that’s shaping the future. His MBA saw him study in both China and Europe during an exchange at INSEAD in France—an international MBA experience that Jason says gives him a competitive edge in the jobs market. He’s now working at pharma giant GlaxoSmithKline (GSK) in Singapore. Why did you decide to pursue an MBA in China? When deciding on a business school, most students look at the current rankings or a country’s economic structure. But an MBA has long-term value. You should look at least seven to 10 years down the road. That’s the ethos I used. Looking ahead, the single most important thing is understanding China, and CEIBS was the only business school in China with an international outlook. Look at the global situation over the last year and the influence China is having. China is now the vanguard of the Paris Climate Accords. Up to the year of 2020, understanding China is crucial for anyone who wants to become an international leader. How did your MBA experiences at CEIBS and INSEAD compare? The INSEAD course put a lot of emphasis on economic structure in a very multinational, standard way. The Chinese MBA structure is different. The Chinese financial system is controlled so you don't have the traditional ideas of how to raise funds like in the European or international system. In China, people talk about the future. Look at WeChat and Alibaba. There are loads of innovations in the ecommerce space. This also influences the business school environment. It’s like the whole country is in startup mode. You need to know the way of the international order and how China’s system can work too. There is no one way of doing things. The only way to learn is to experience both sides. When we talk about regional strategy, my exposure to China has given me an edge in comparison to my peers. When it comes to talking about China, nobody knows what’s going on. I’m able to analyze events however, because of my experience at CEIBS. In pharmaceuticals, our products are used globally. When GSK analyzes global strategy, my MBA experience means I know the cultural and economic differences between the US, the EU, and the Asia-Pacific. Cast return on investment (ROI) aside, as you cannot quantify education. The MBA is a chance to career switch or break through a glass ceiling—you should view it as a period of time to reflect and consolidate. You need to have an open mind. The world is changing so fast that what you know today will change drastically over the next five years. Use the MBA as a process to consolidate your understanding and ideas and choose a school that will prepare you for the future.